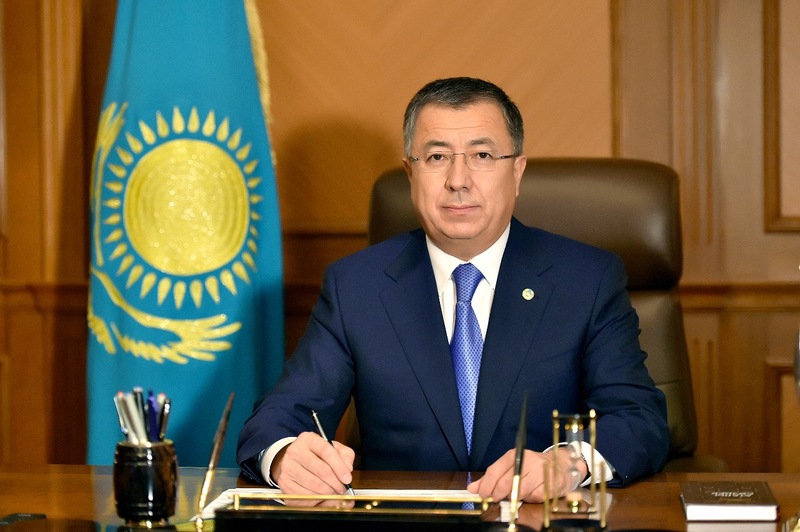 In an exclusive interview with this newspaper, Akim (Governor) of the recently created Turkestan Oblast Zhanseit Tuimebayev discusses the significance of the step and the impressive prospects for the development of a strategically located region known for its cultural heritage, density of population, economic potential and entrepreneurial spirit. What is the vision for developing the region and what are the prospects? What major sectors will be focused on – agriculture, industry, tourism? First and foremost, we should note the truly historic decision our head of state made this June. A new Turkestan Oblast has been created with the centre in Turkestan. We all are aware that Turkestan has for many centuries been the heart of the political and spiritual life of the Kazakh Khanate. This truly historic decision has marked a new page in the history of Kazakhstan and in the future will serve as the starting point for the revival of Turkestan as the spiritual and cultural centre of the entire Turkic world and will boost the social and economic development of our region. Therefore, this wise decision has already outlined the priorities and prospects for the development of the region. In line with the task set by the President, construction of new administrative, social and cultural facilities will be launched soon. At the first stage, the state envisages about $2 billion of investment in the construction of buildings, facilities and infrastructure. New buildings, theatres, residential houses, an airport and an administrative and business centre will be constructed. A new international airport will create opportunities for investment and tourism growth. The development of Turkestan will be based on advanced technologies in the field of construction and digitisation. It will be a safe and smart city of the future. Local and foreign companies will actively work here. We are particularly pleased with the activity and social responsibility of the private sector. For example, some domestic and foreign companies have already decided to invest in construction of five-star hotels and shopping, entertainment and sports centres, as well as other facilities worth over $100 million. Our agriculture, industry and services sectors are gaining momentum. There is a huge potential for the development of export-oriented production, as well as border trade. If we fulfil this potential, our manufacturers will get access to a common market of the countries of the Eurasian Economic Union with a population of more than 170 million people, as well as China and Uzbekistan. Our region is traditionally considered to be agrarian. Fertile soil, abundant sunshine and vast pastures create great opportunities to develop diverse agricultural sectors in the region. This is, first of all, irrigated farming and animal husbandry. The region ranks first in the country in terms of the area under vegetables and gourds (111,000 hectares), as well as in terms of vegetable harvesting (109,000 hectares). We plan to increase the area under crops to 881,500 hectares by 2025 and planting of gardens through the use of advanced technologies. Due to smart technologies, this year the harvest of vegetables and gourds was a record 2.7 million tonnes, 500,000 tonnes of which have already been exported to Germany, Latvia and Russia. We have ample opportunities to implement investment projects for the storage and processing of agricultural products. We produce 100 percent of the total national volume of cotton and 70 percent of grapes and gourds. Turkestan cotton fields. Photo credit: otyrar.kz. Thanks to the favourable climate conditions, 80 percent of the country’s greenhouse facilities are located in the Turkestan Oblast. The region also ranks first in the country in terms of the number of cattle, over one million animals. This year alone, our farmers exported 35,000 tonnes of meat to Iran and Uzbekistan, which is 52 percent of the total volume in the country. Negotiations have been launched on the supply of meat products to China, which opens up unlimited opportunities in the development of animal husbandry. There is no doubt, as an agrarian region and food base for the whole country, we will focus on enhancing the processing of agricultural products. We plan to increase the supply of agricultural products not only in the country, but also abroad. I am sure we can do this. Moreover, the tourism sector will develop as part of industry and services. We plan to introduce the advanced foreign expertise of successful tourist countries, carefully studying all the features of the development of this crucial sector of the economy. If you look at a geographical map of the region, you can see the diversity of landscapes and their saturation with water courses, as well as rich flora and fauna. The oblast has a large number of archaeological, historical, cultural and religious sites and sacred places. Therefore, the region is promising for the development of any form of domestic and international tourism. Our government has adopted the concept for the development of tourism in Kazakhstan until 2023. In the coming years, the Turkestan Oblast and Turkestan will be the main tourist sites of the Revival of the Great Silk Road cluster. Turkestan was also included in the top 10 promising projects of the map of tourism development of our country. What are the objectives of the Turkestan Oblast in economic terms? Do you plan to develop new sectors and create new jobs? Today’s Turkestan Oblast is the most densely populated region in Kazakhstan, with a favourable warm climate and a population of two million. The oblast has a favourable geographic location at the crossroads of land routes that link China and Southeast Asia with the Middle East and Europe. For example, within a radius of 1,000 km from Turkestan there are seven capitals of foreign states. 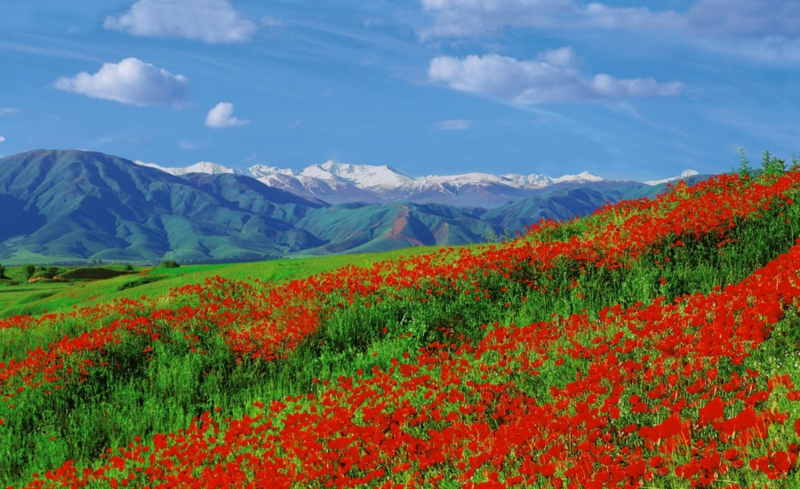 Our region is located in the heart of the Silk Road and is the southern gate of Kazakhstan. The main objectives of the regional economy are agriculture, tourism and industry. It is obvious that the effective development of these sectors will require the attraction of foreign investment. With the participation of foreign capital, we plan to implement 24 projects in the oblast totalling $1.4 billion and create over 15,000 jobs. What are the opportunities in tourism development, given the sacred places of the region? We have a lot of opportunities for the development of this most important area in our region. This applies to both regional and international levels. We have major tourist destinations. They include health tourism in the Saryagash district, ski tourism in the Tolebi district (Kaska-Su), historical and cultural tourism (pilgrimage) in Turkestan and others. We have unique architectural, historical and archaeological monuments, amazing nature and unique culture. There are over 1,000 historical, cultural and archaeological sites as well as four protected areas (Aksu-Zhabagly, Karatau, Sairam-Ugam and Syr Darya-Turkestan) in the oblast. In 2017, more than 270,000 tourists visited the oblast, which is 40 percent more than in 2016. Aksu Zhabagly. Photo credit: blessingtravel.kz. The city of Turkestan, which is more than 1,500 years old, is truly the holy land of our ancestors. Every year, hundreds of thousands of people come from different parts of the world on pilgrimage. Twenty-one khans, 52 batyrs, 19 biys and eight sultans of the Kazakh people are buried here. The main attraction of the city is a masterpiece of human creative genius – the United Nations Educational, Scientific and Cultural Organisation (UNESCO) World Heritage Site, Mausoleum of Khoja Ahmed Yassawi. It is not by chance it is called the “Second Mecca” and people say “Mecca has Muhammad and Turkestan has Khoja Ahmed.” This October, we celebrated the millionth visitor to the Mausoleum of Khoja Ahmed Yassawi; it was a married couple from North Carolina, USA. Mausoleum of Khoja Ahmed Yassawi. Photo credit: premiumtravel.kz. Tourists are also attracted to the ancient settlements of Khankorgan, Oksyz, Otrar, Sauran and other monuments of ancient culture. Therefore, the further establishment of Turkestan as a centre of international tourism and pilgrimage is one of the priorities for the development of the region. As I noted above, we have all the opportunities for tourism development. First, the territory itself and the infrastructure of the region allow for the comprehensive development of tourism. We are talking about the historically established Great Silk Road, many tourist sites of historical and cultural heritage and a high degree of urbanisation and growth of the population as a traditional culture bearer. Second, it is about our geographic location, with climatic conditions and proximity to the borders of neighbouring states. Third, natural diversity provides an opportunity to intensively develop medical, health, eco-adventure, children’s, business, event, rural and sports types of tourism. We began landscaping the Arystanbab Mausoleum, Mausoleum of Khoja Ahmed Yassawi, Otrar settlement and Sauran. We pay special attention to the development of the so-called soft infrastructure of tourist facilities in the region. Every year we take an inventory of tourist facilities and organise expeditions to explore new tourist routes. For example, this year with the participation of local history experts, historians, photographers and representatives of travel agencies we organised an expedition to Sozak district. Now, together with McKinsey, we are developing a comprehensive master plan for further development of Turkestan. According to preliminary estimates, the number of tourists by 2030 will be over 1.6 million people annually. As you know, in our region there are mineral water sources called Saryagash. The Saryagash Resort Area allows us to actively develop medical and health tourism. One of its advantages is a wine chateau of French vintage wines and a golf course that meets all international standards. In early November, we held the Saryagash Open 2018 international golf tournament in Saryagash. Over one hundred golf lovers from Russia, South Korea, Turkey and Uzbekistan took part in the tournament. There is also a great potential for mountain and beach tourism in our Shardara Reservoir and Ugam-Sairam National Park. What will the transformation of Turkestan into the cultural capital of the Turkic world mean, in practical terms? As is known, last year Turkestan was the cultural capital of the Turkic world. Many cultural events took place in the city. A concept paper for the development of Turkestan for 2018 to 2021 has been developed. Last September the President approved the concept paper of the master plan for the development of Turkestan as a cultural and spiritual centre of the Turkic world. It is not too much to say that the concept paper is focused on preserving Kazakhstan’s cultural and historical heritage with a world-class spiritual, cultural and tourist centre. Work is already underway on the administrative division of the city into three areas. These are the area of regulation of developments, the historical and sacral area, and the administrative and business centre. We plan to restore the historic surroundings of the Mausoleum of Khoja Ahmed Yassawi and the medieval settlement. Cultural and leisure facilities, a visitors’ centre, an open-air museum, an amphitheatre and fountains will be erected in the immediate vicinity of the mausoleum. Therefore, the preservation and improvement of the settlement, and the open-air museum will attract tourists. The Turkic world centre, Khoja Ahmed Yassawi Centre, Kazakh Khandary Men Bileri Cultural and Historical Centre, Uly Dala Eli Centre, Museum of Fine Arts, Astana Park, and other facilities including a hammam will also be constructed in the city. Given the special attention currently devoted to the development of Turkestan itself, what can you say about the development of the city’s transport infrastructure? I think it would be more correct to consider the development of the transport and logistics infrastructure not only of the oblast centre, but also of the entire region. As is known, the international Western Europe-Western China highway crosses our region. I think you do not even have to be an economist to understand that this opens truly tremendous transit and logistical opportunities for entering the billion-dollar markets of China and Europe. International transport corridors cross our area. The Turkestan, Tashkent and Sughd Oblasts and the cities of Shymkent, Tashkent and Khujand strategically connect international markets; Turkestan Oblast is located at the crossroads of the Western Europe-Western China highway and the Central Asia-Siberia highway, and the Tashkent and Sughd Oblasts are tourist centres of Central Asia. Moreover, all three regions stand out for a certain level of economic complementarity, especially in logistics, agriculture, the food industry and close historical and cultural relations between the three countries. The region has the highest concentration of population, 9 million people, which represent 15 percent of the population of Central Asia within a distance of only 420 km, including such cities as Turkestan, Shymkent, Tashkent, and Khujand. All this creates a favourable environment for the development of cross-border cooperation, logistics infrastructure and services in the region. To this end, with the support of the Asian Development Bank, we have initiated the creation of the Turkestan-Shymkent-Tashkent-Khujand Economic Corridor that is a strategic section of the International North-South Transport Corridor. A project will be implemented in the region to create the Central Asia International Centre for Cross-Border Cooperation (ICBC) on the border of Kazakhstan and Uzbekistan. The construction of a dry port at the Kazakh-Uzbek border and a modern distribution infrastructure in the region is also being considered. This will ensure the active development of new industries through subcontracting and industrial outsourcing with manufacturers in developed and industrially developing countries. Turkestan recently hosted an investment forum. Could you tell us how you will generate investment? What are the priority sectors and what mechanisms will be used? Indeed, in September, we held the first “Ancient Turkestan, New Opportunities” international investment and tourism forum. This international event was held on the sacred land of Turkestan for the first time. Two hundred and fifty delegates and representatives of a number of states, including from Europe, Turkey, Russia, South Korea, China, Singapore, Malaysia, Pakistan and Uzbekistan, visited us. International experts participating in it commended the forum. To be perfectly frank, some guests could not help but be amazed at how we managed to ensure the participation of major and renowned experts and companies in such a short time. As we planned, we saw an economic effect in the form of signed agreements and memorandums. 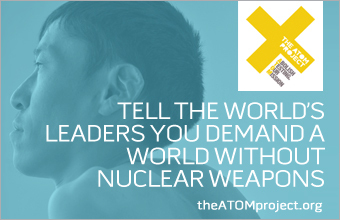 Thus, we signed 19 memorandums worth about $1.7 billion. Agreements were concluded between the akimat of the Turkestan Oblast and investors from Iran, Turkey, the Czech Republic, Russia, the United Arab Emirates, Malaysia, Italy, Poland and China. By holding this forum, we, in fact, laid the first stone for the construction of a new economic and investment brand of Turkestan. A spiritual and cultural brand, as I mentioned, has already existed for more than 1,500 years. Turkestan’s promotion in the international arena as the spiritual capital of the entire Turkic world requires significant investment in infrastructure development, introducing advanced practices and technology. To ensure Turkestan’s investment attractiveness, we continue to work on a special economic zone called “Turkistan”. Here, investors will be provided with land with existing infrastructure and tax benefits for 25 years. These investment preferences are provided not only for tourism projects, but also for the construction and industry sectors. As for raising investment, we create the most favourable conditions for this in the oblast. We regularly work to improve the business climate, resolve administrative issues as quickly as possible, try to help every investor, ensure comprehensive support for each project. Therefore, the business climate of the region today is attractive for both local entrepreneurs and foreign investors. For instance, in 2017, investment attracted in our oblast amounted to $1.4 billion. According to this figure, our region is one of the leaders in the country. Almost 60 percent of investment is generated by small and medium-sized businesses. We also hold one of the leading positions in terms of the number of SMEs in the country. The oblast has 130,000 SMEs. Over 1,000 of these enterprises successfully cooperate with foreign companies in trade, industry, agriculture, construction and the production of building materials. With the participation of foreign capital, we plan to implement 26 projects totalling $4.8 billion and create 10,000 jobs. We have already implemented 12 projects worth $2.1 billion. The economy of the region is quite diversified. We are not dependent on the sale of raw materials; the manufacturing industry makes up more than 60 percent of the regional economy. Therefore, it is safe to say that the oblast has created all the necessary conditions for attracting investment. First, at the legislative level, investors are provided with investment preferences in the form of investment subsidies, exemption from taxes and customs duties, as well as the provision of land plots as in-kind grants. Second, the region has nine successfully operating industrial areas, where land plots are provided with existing infrastructure. Third, special financial institutions that are ready to co-invest up to $3 million in investment projects with foreign participation have been created under the akimat of the Turkestan Oblast. Fourth, we have created the Turkistan Invest investment centre that provides full 24/7 support to investors starting from the idea to the full launch of projects. How will you develop cooperation with Uzbekistan? What specific projects will be implemented? What are the prospects for creating an international zone of cross-border cooperation? We have close, centuries-old good-neighbourly relations, shared culture and traditions and a long history of strategic partnership with Uzbekistan. In recent years, bilateral relations at the political level have significantly intensified. Our President declared 2018 the year of Uzbekistan in Kazakhstan. This once again confirms the fraternal nature of our relations, whose roots go deep into history. We have registered 64 joint ventures with Uzbekistan in the oblast. Currently, 31 of them are active. In 2017, bilateral trade increased by 30 percent and amounted to $2 billion. The leaders of our countries set a task this year to increase trade to $3 billion, and by 2020 to 5 billion. The key items exported from Uzbekistan generally include vegetables, fruits, dried fruits, textiles and cars, and Kazakhstan supplies mainly flour, oil products, metal ware and cement to Uzbekistan. As for specific investment projects, a $330,000 project for the production of gas stoves was implemented in 2017 in the Badam industrial area with the participation of Uzbek company Artel Manufacturing. 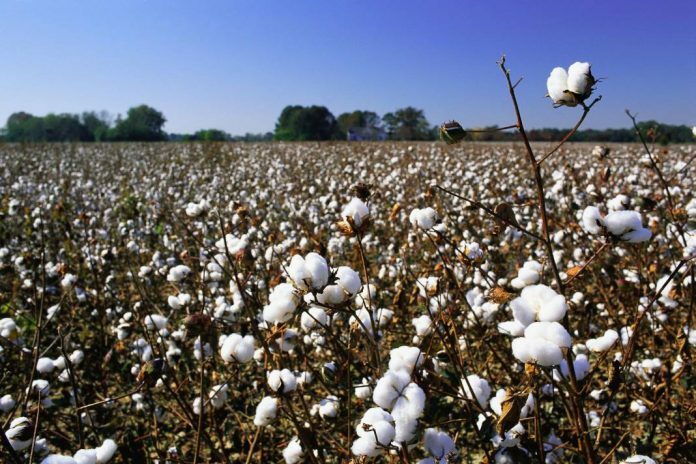 In the Shardara industrial area, with the participation of Uzbek business, the Aykazhy company is finalising a $2.5 million project for the construction of a cotton processing plant with a capacity of 50,000 tonnes per year. We plan to develop joint tourism projects with Uzbekistan. As I noted earlier, there is great potential for mountain and beach tourism in our national park Ugam-Sairam and Lake Shardara. We have prepared specific projects and proposals for joint cooperation in this regard. Considering the well-developed inbound tourism in Uzbekistan and its close proximity, we plan to develop joint tour packages that will extend the stay and raise the interest of foreign tourists in our cities. Recently, we successfully held the first Forum of Interregional Cooperation between Kazakhstan and Uzbekistan. We discussed the development of economic and investment relations and cross-border trade. Memorandums were signed between the Turkestan Oblast, the cities of Jizzakh, Tashkent and the Tashkent Oblast. We have great prospects and enormous opportunities in agriculture, favourable conditions for the development of cross-border cooperation in transport, logistics and services in the region. Since our countries are landlocked, we need to develop overland transport to ensure a full and sustainable access to developed markets. As I mentioned, the favourable location of the region along the Western Europe-Western China highway opens great transit and logistical opportunities for entering the billion-dollar markets in China and Europe. A joint project will be implemented with the Uzbek side to create the Central Asia International Centre for Cross-Border Cooperation (ICBC) at the border of Kazakhstan and Uzbekistan.